Perhaps you have noticed with your children that as they pass into the early stages of puberty (the so-called tween phase) they lose some of the contentment that accompanies middle childhood. Our children were more likely to be “bored” or to flit disconsolately from one once-favored activity to another, unable to really settle down. 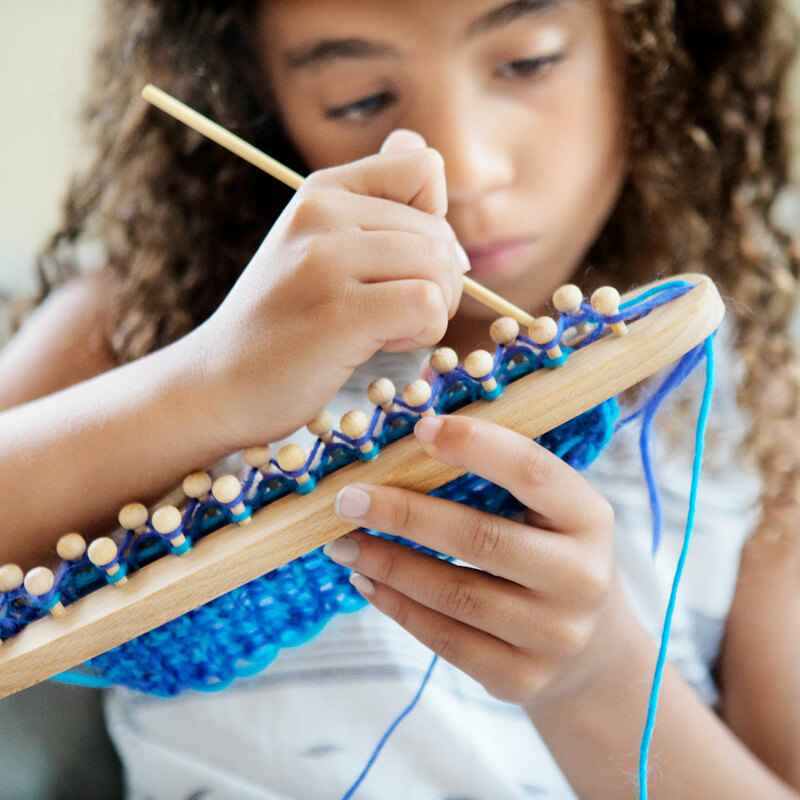 In this stage, children begin to seek work that they can see has meaning and purpose; they’ve passed the joy found in imitating adult work and they’ve mastered many life skills. What they want is a challenge, as well as a way to express the self they are beginning to feel. They may find satisfaction in a craft unique to them within their social group, or just a new way to show their expanding abilities and express their distinct tastes. As a parent, you can foster this growth by modeling your own willingness to try new and difficult things. Children, even those who might act dismissive of parental concerns, are watching. When they see adults attempt a new skill or continue to build on a particular knowledge set, they are learning that life is an active pursuit. We don’t just check off a box and call knitting or cooking or British history “done”. And our children also see us persist in the face of our own failures; we show them how to ask for help, how to cope with the frustration sometimes inherent in learning and how to celebrate even small achievements. We also demonstrate through our own behavior how to walk away and regroup when we’re ready for a time out. So, what sorts of complex activities can we offer to older children? 1. 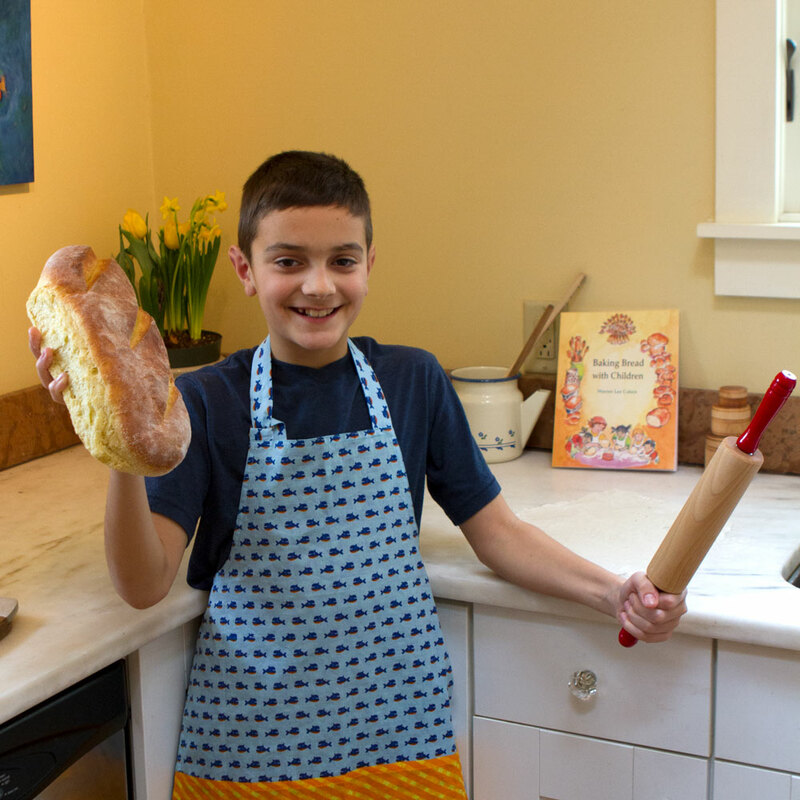 Cooking: Cookies, homemade pasta, omelets, nori rolls and pancakes are a few of the recipes our children first pursued when left on their own in the kitchen. Cooking re-enforces other important skills, like following instructions, cleaning, and administering first aid to oneself or others. 2. 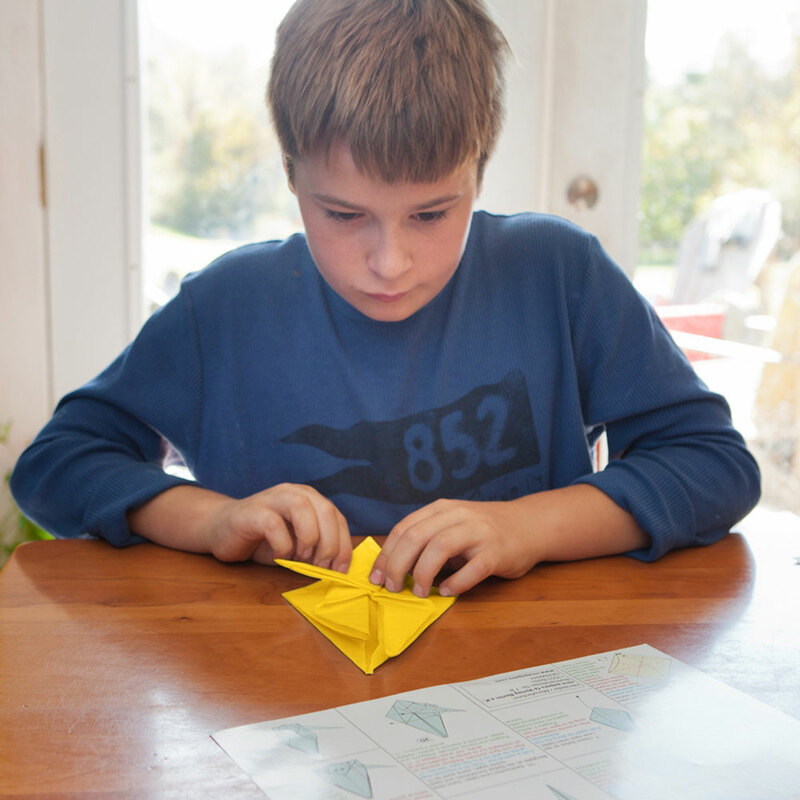 Origami: This craft is often introduced to early elementary kids, but the elaborate folds will challenge even skilled adults. The fine motor skills and the willingness to make the same pattern repeatedly fit the abilities of older children very well. If you are unfamiliar with much origami past cranes, you might also enjoy the task of learning a new paper sculpture. 3. Colorwork or cabling: Knitting and crochet offer a meditative space for the crafter; the turmoil of the teen years can find a respite in the concentration necessary for following more elaborate patterns. When they make a pair of socks, a cabled hat or their first sweater, they also have something to show for their effort. They can enjoy the beauty of fabric seemingly rolling away from the busy hands and needles. 4. Bicycle maintenance: This eminently practical skill empowers children to handle that feeling of disaster that can strike when we find a flat or our chain pops off. Some children will tackle these problems with little encouragement and no training, but others (even certain adults) prefer to know they are not making the situation worse. The confidence gained by adjusting brakes, patching a flat or even just oiling a chain encourages them to look for their own solutions later in life, whether that’s dealing with a clogged drain or maintaining a car. Some bike shops even offer introductory maintenance workshops where accompanied children are welcome. 5. Sewing: Making a pair of pajama pants is remarkably simple. I have yet to teach this pattern to an adult or child who wasn’t thrilled with their results. Classes are often offered at fabric stores geared to younger audiences, but if you’re able to get your preteen familiar with a sewing machine and the workings of a pattern, they can probably charge into this with only an occasional assist. And once they’ve made a simple pair of pants, they have all they need to move on to other patterns. 6. 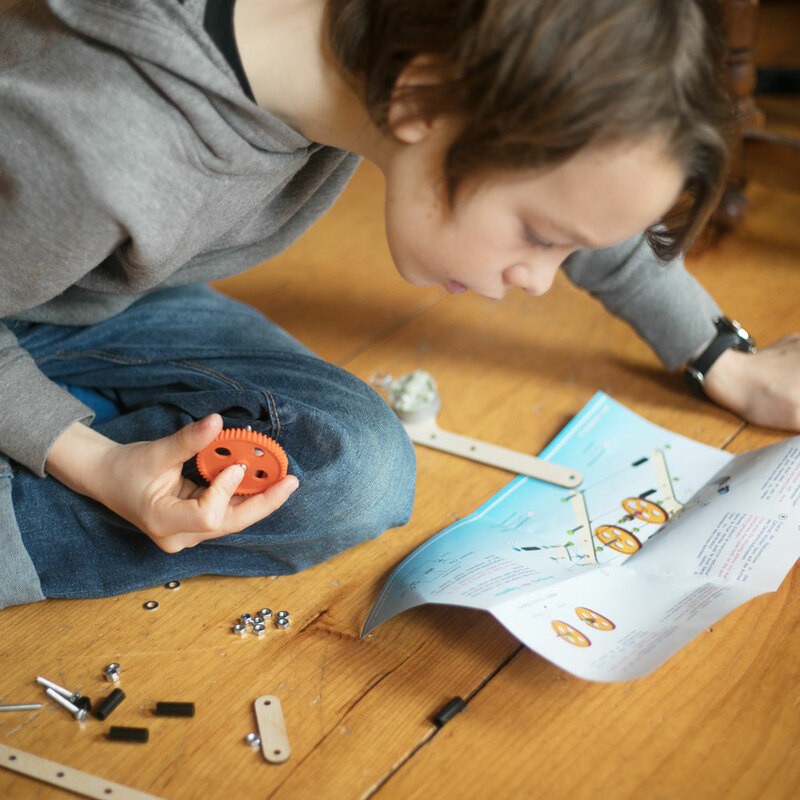 Complex craft kits: There are countless kits that go beyond plastic building blocks for challenging the child interested in engineering and/or construction. Those unfamiliar with such kits might experience a little frustration to start with, as there is a bit of art in working with flexible metal pieces or in balancing wooden parts. Like making a paper airplane, these more advanced craft kits often require the builder to tweak and adjust based on their own process and situation. Inherent in some of the instructions is the idea that the builder might take a few steps forward and then have to backtrack to address problems. Again, these are valuable life skills, as most situations in life lack the rectilinear, lock-together nature of plastic unit blocks. If you do not feel ready to teach your child a new skill, follow their interest and find a class. Checking with high schools, recreation centers and local bulletin boards can open a world of learning. Such classes also expose your children to a variety of adults enthusiastic about whatever subject brought your child to their workshop. They will have peers to watch and learn from, perhaps sharing frustrations in a friendly group of like-minded people. Offering children the chance to try and fail and try again encourages them to persevere. They see that failure and learning go hand-in-hand; it’s a form of risk-taking the parent of a teenager can foster. Crafting is a safe space for a young person to begin to suffer the pangs of defeat, as well as the victory of a difficult task mastered. Great ideas here. I’ve got a child just entering this phase, although I didn’t recognize it until I read your post. Thanks!